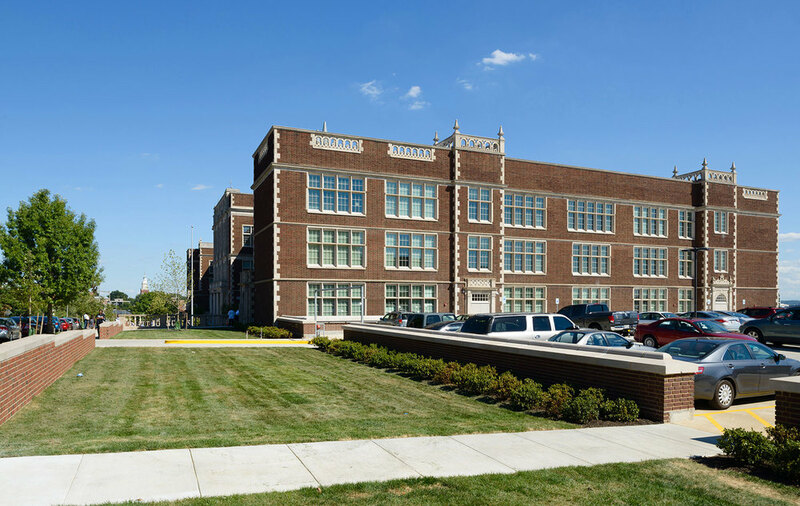 Francis L. Cardozo High School, bounded by Florida Avenue, 11th and 13th and Clifton Streets in northwest Washington, DC sits prominently on a two square block parcel with commanding views of the city to the south. 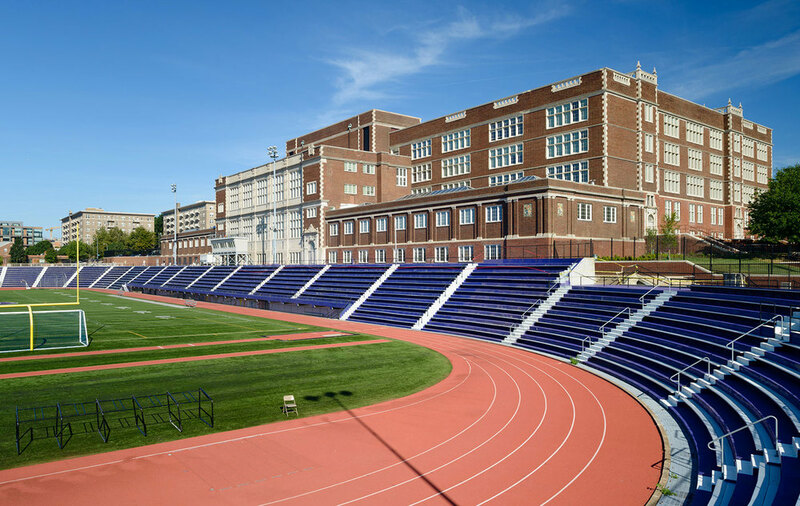 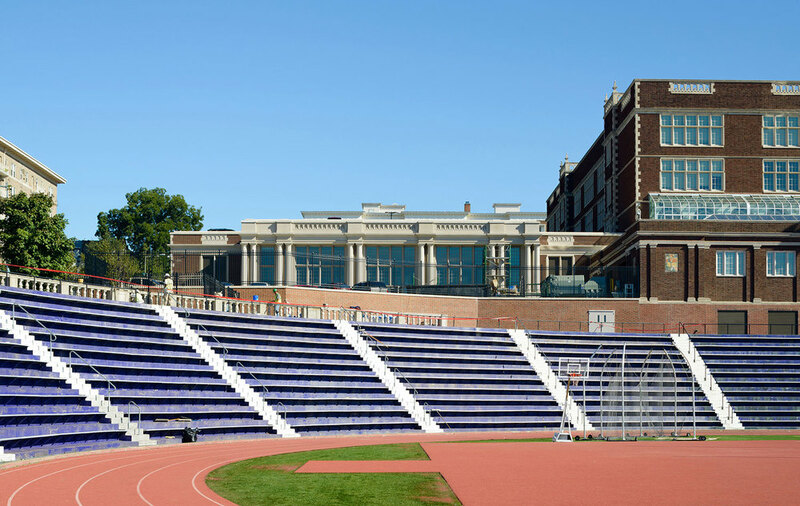 Completed in 1916 and originally named Central High, the venerable structure was designed by nationally recognized school architect, William B. Ittner of St. Louis. 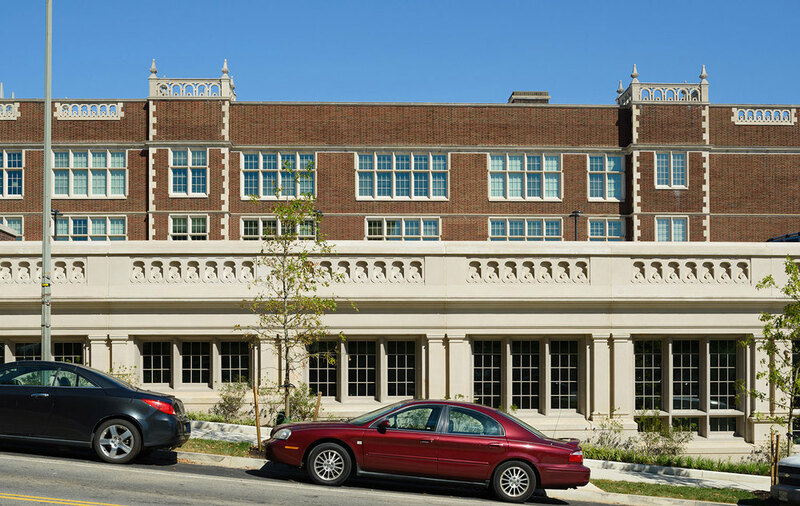 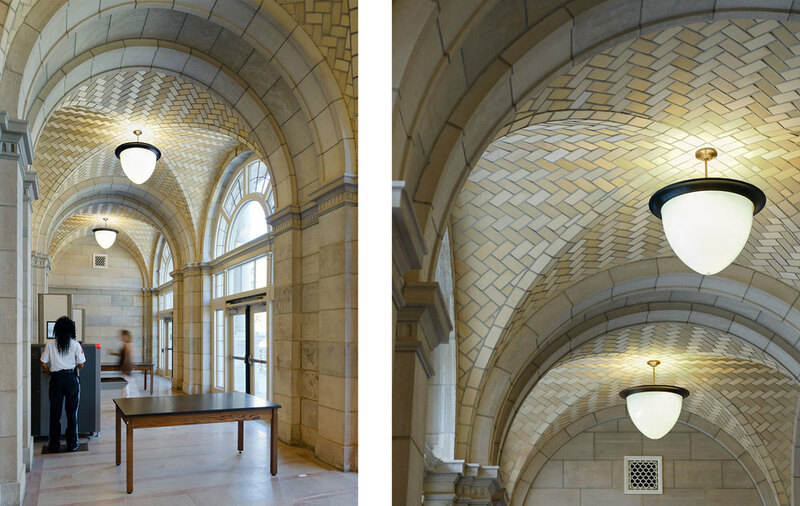 The Nationally Registered collegiate gothic building has continuously operated as a Washington, DC public high school for the past 100 plus years. 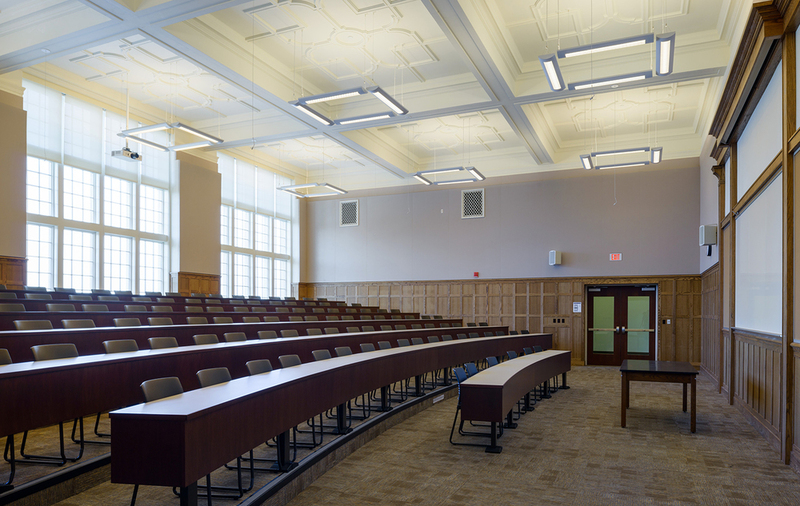 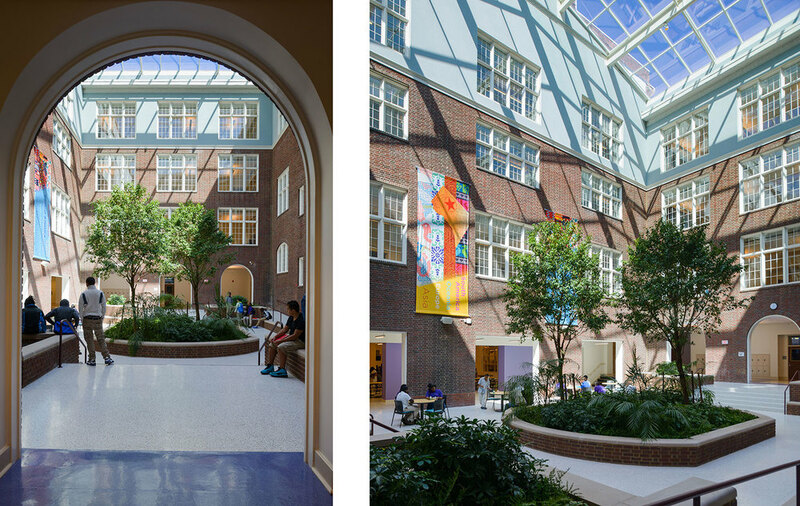 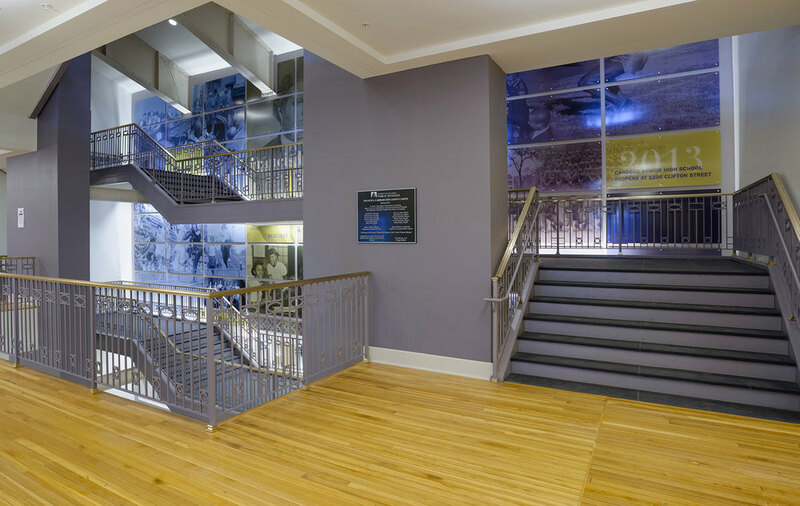 The existing historically and culturally significant building is to be modernized for state-of-the-art teaching environments for the 21st century. 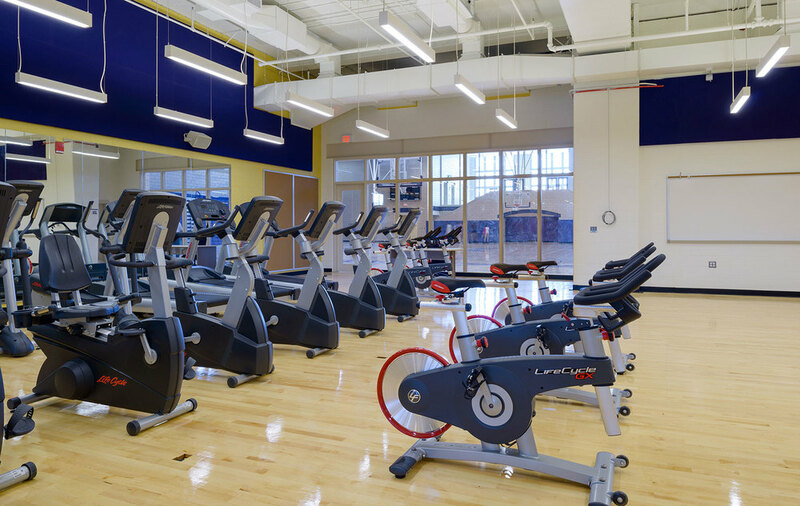 The program is for a capacity of 1,100 students and includes complete modernization of 350,000 gross square feet of existing historic infrastructure and a 42,000 square foot gymnasium addition. 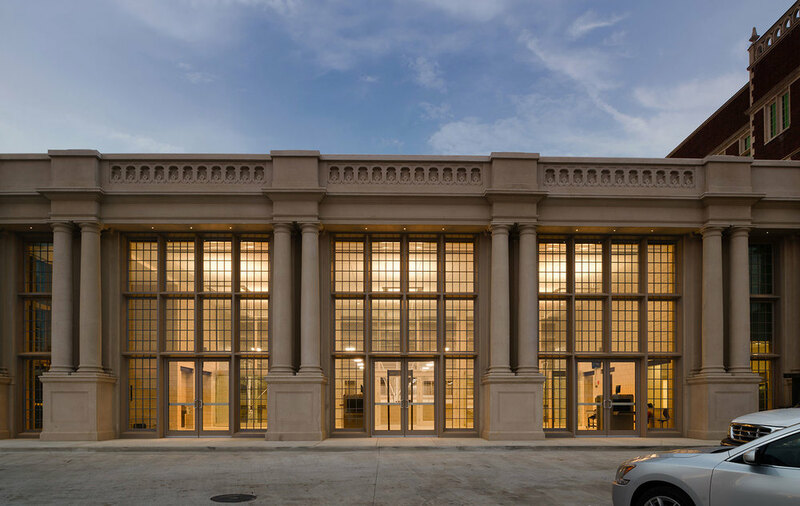 The addition is arranged to be a sympathetic structure to the historic building configured to appear as a continuation of the base of the building. 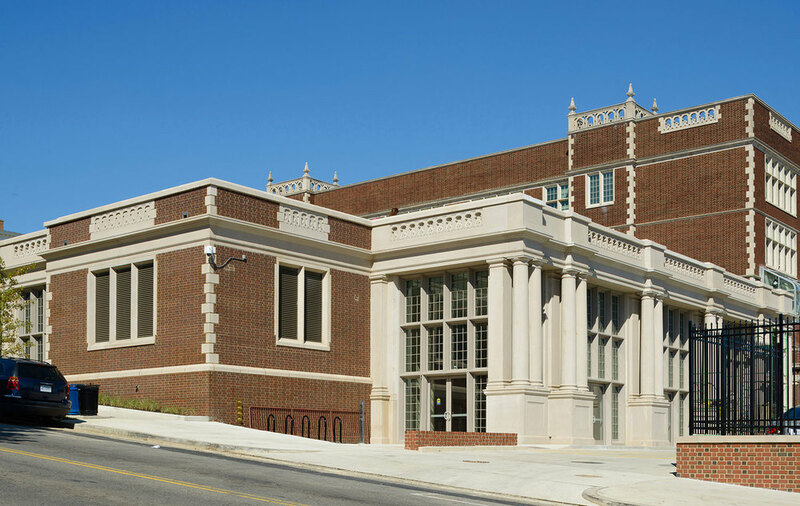 The building is designed to be in character with the existing building while speaking to the gymnasium aesthetic and conveying optimism for future generations.